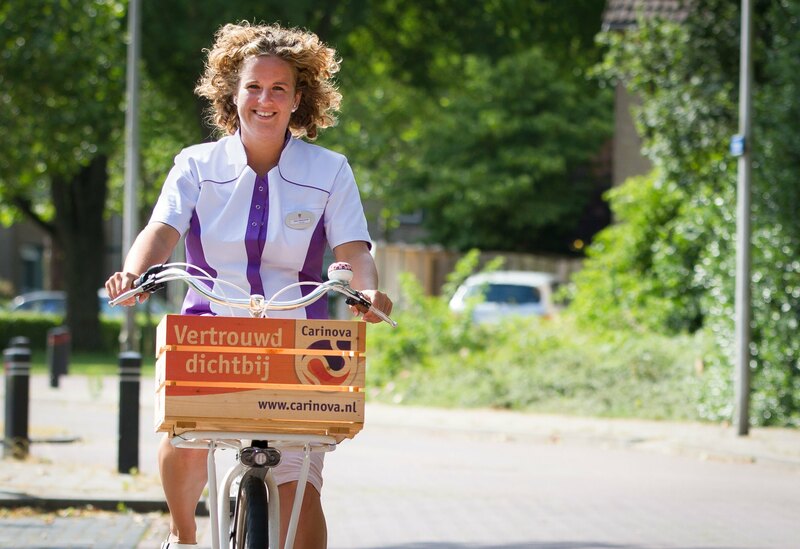 Netherlands health provider Carinova offers in-home visits, domestic help, and constant-care facilities for elderly patients and people with illnesses or disabilities. After a Microsoft Software Asset Management (SAM) Cybersecurity review of its IT environment and practices, the company learned how to reduce its cybersecurity risks and prepare for General Data Protection Regulation (GDPR, Privacy law) compliance. Based on the Quexcel SAM team’s solution recommendations, Carinova gained a more flexible workplace and IT infrastructure in the cloud. Health provider Carinova is committed to providing trusted, personalized care throughout the eastern part of the Netherlands. The company offers around-the-clock health services at its eight residential facilities, and its mobile caregivers visit patients’ homes up to five times a day. To maintain the public’s confidence and remain a top choice, Carinova places a high priority on data protection and compliance with healthcare standards. Employees work with personally identifiable information (PII) data that is highly sensitive, like electronic health records. This data falls under regulations such as General Data Protection Regulation (GDPR) privacy laws that went into effect in May 2018. IT plays a big part in GDPR compliance, but Carinova sees it as a strategic advantage, too. “There’s a lot of demand for healthcare professionals here, and a small pool of eligible workers. To attract the best talent, health providers need to offer a modern, flexible cloud-based workplace,” says Ton Kuiper, IT Specialist at Carinova. Kuiper notes that, in contrast, the IT infrastructure at Carinova took a lot of time to maintain, so the company was moving to the cloud to streamline operations and improve security. In early 2017, the company contacted a Microsoft account team to inquire about migrating to Microsoft Office 365 productivity services. Carinova also arranged for a Microsoft Software Asset Management (SAM) evaluation of its IT environment. Based on the SAM assessment, Carinova learned that its IT infrastructure was basically secure. There were some areas that needed updates to meet GDPR compliance, and the company could benefit from more security training and updated application virtualization to accommodate its mobile workforce. The SAM team suggested products and practices to expand the benefits of an integrated cloud platform by adding visibility, simplified management, and scalable, flexible device and identity management. Carinova encrypted communications between its IT infrastructure and used a simple mobile device management (MDM) solution, but the solution didn’t comply with needs like tracking the company’s device inventory and usage and performing remote data wipes. The SAM team advised migrating to a solution that also included rights management services to prevent healthcare professionals from storing sensitive data on their devices. “Based on the SAM cybersecurity engagement, we decided to adopt Microsoft 365 cloud technologies to manage all our mobile devices, with the data protection and identity management features we needed for GDPR compliance—and safeguarding patient information while supporting our employees in the field,” says Kuiper. Carinova will use its new solution to separate business information and non-approved apps, as per GDPR standards. This will help prevent accidental transfer of protected information to an unsecured environment. In addition, now mobile healthcare workers chat with colleagues using Microsoft 365 services like Skype for Business, which makes it easy to keep PII in a secured environment when they consult with colleagues on details of a patient’s case. Find out more about Carinova on Twitter, Facebook, and LinkedIn. Reference case originally published at Microsoft.